We are passionate and committed to meeting our clients’ needs. 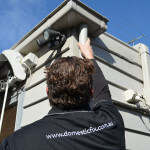 We pride ourselves in providing great service and attention to detail and are proud to have a very loyal client base. With over twenty years in facility management, renovations and home modifications, property maintenance, carpentry and landscaping, we provide complete maintenance services. See what they have to say about what we do. Simon loves what he does. Our clients love that he is approachable and committed to delivering the best value possible. He excels on challenges and finding solutions that work. 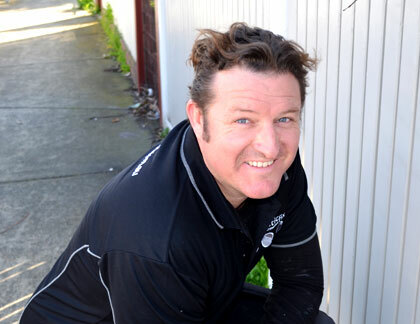 Specialised in all things maintenance from carpentry to basic plumbing, plastering and painting as well as extensive facility maintenance services. A determined and created problem solver, Simon ensures our clients needs are always met with optimal, comprehensively and cost considered solutions which are efficiently and competently executed. With a background in finance, real estate, renovating & kid wrangling, Jackie oversees a variety of key administrative and financial processes. 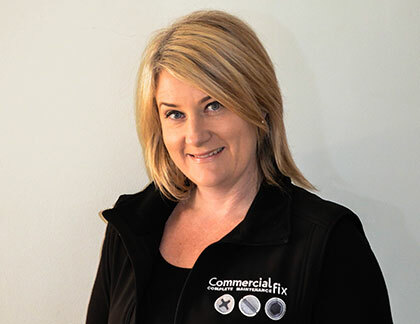 She brings all that patience, problem solving, thinking and creativity to organising Domestic Fix & Commercial Fix. The combination of skills our team brings to each project enables us to deliver excellence and quality every time. The strength in our service is reflected in the loyal client base of return clients. 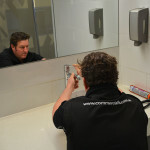 We are not in this business to dominate the world of maintenance services. Our reward is in your satisfaction in our services and we welcome the opportunity to work with you and have you join our loyal circle of clients.